The title sounds like a romantic comedy, doesn’t it? Well, this story by Shania Koren is nothing like that. 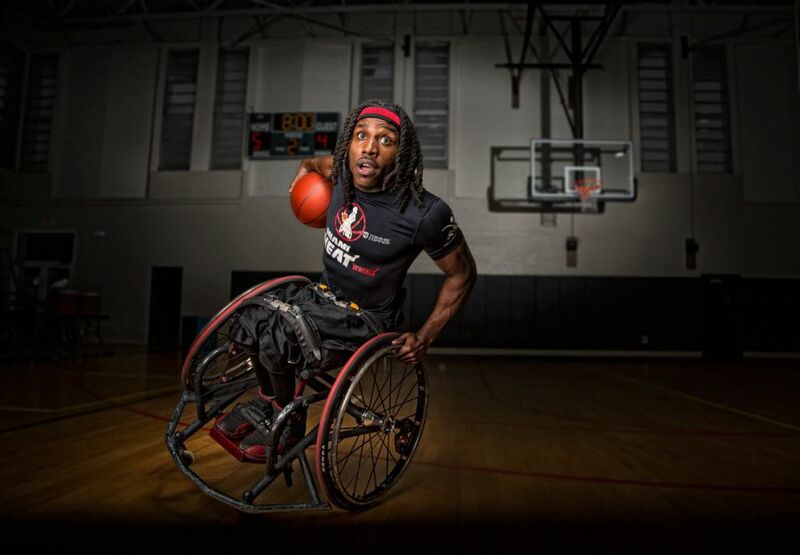 She chronicles the beautiful story of the Miami Heat Wheels and their coach, Coach Cartwrwight; what makes this documentary feature so beautiful is the story behind the Miami Heat Wheels team, a wheelchair basketball team trying to excel just like anybody else at something they love. This will be a must-see you WILL NOT regret watching! For the past few years Mass Media Students from Valdosta State University have visited the Macon Film Festival in Macon, Georgia. The film festival takes place in downtown Macon around the city’s theaters, best restaurants, and bars. Some students go for the fun and some students go for the experience. During their trip students interview the film’s directors, writers, musicians, and other people involved with the films. These interviews are normally added to the VOD Indie page on Vimeo after the festival. This year all of the participants were asked to find and research a hand full of the films that will be showcased this year. After conducting a little bit of research and doing some cyber snooping I truly believe I picked a few of the best films. This year I will be searching for anyone involved with Autumn Fall, Bullied to Death, Practice, Farmer/Veteran, Perfect Houseguest, In Memory, and Winter Light. Each film looks great and I am truly excited to see all seven films during my trip. While I am excited to see every film I am extremely excited to see Perfect Houseguest. Perfect Houseguest is an animated short film, and anyone who knows anything about me knows that I am infatuated with animation. This is not directors Ru Kuwahata & Max Porter’s first time at the Macon Film Festival. Last summer during the Macon Film Festival Tiny Inventions has their short animated film Between Times featured. The film was incredible, so their is no doubt that their newest short film will be great. Last year during my trip I was able to interview an animator, so hopefully I will be able to interview the wonderful creators of this film. The 2016 drama short HUX will be a featured film at the 2016 Macon Film Festival taking place July 21-24. The film by Mageina Tovah tells the story of a young girl, Hux, who is living her life with autism. She works to rebel against the isolation that she is plagued with due to her autism and an aversion to stimuli. All while working to overcome her hardships there is a terrible plague that is decimating the population around her. While all the odds are against her, she finally finds one last way to connect. The film will be showed twice at the festival, first on Friday July 22 at 11:15am at the Theatre Macon, second on Saturday July 23 at 4:45pm in the Cox Capital Theatre. Please come by at there two times to experience and enjoy this short film. Animator Alston Jones brought his vision of George Orwell’s Animal Farm to life in his amazing short BETTER THAN EQUAL. Ava Leigh Stewart’s documentary on artist Howard Finster, PARADISE GARDEN, left a lasting impression on our students. Renowned dancer and visual artist, Kirsten Russell brought her wonderful international film UNIVERSAL LANGUAGE to the Macon Film Festival – and it was magical.